LEON, Mexico (Reuters) -- An executive at Volkswagen's Mexico unit said on Wednesday there is room to boost regional tariff-free content for autos made in North America, a central plank of the Trump administration's plan to overhaul NAFTA. Under the North American Free Trade Agreement, 62.5 percent of a vehicle's content must be made within the region to qualify for tariff exemptions, and the U.S. government is seeking to raise the threshold to 85 percent to boost jobs. Asked at an industry conference in the central city of Leon if there was scope to lift the regional content to 80 percent, Marc Riera, commodity manager for Volkswagen Mexico, said: "There is definitely room." Riera said that Volkswagen was making progress in sourcing products from the region. "The room is there, but we need to work as a team...(with) suppliers," he added. U.S. President Donald Trump argues that NAFTA has led to a flight of manufacturing jobs from the U.S. to lower cost Mexico, and he has pledged to reverse the trend. To that end, Trump has made aggressive pro-U.S. demands in talks between the U.S., Mexico and Canada to overhaul NAFTA. The next discussions are due in Washington next week. U.S. trade negotiators are also demanding that half of all the auto content in the NAFTA region be from the U.S. However, North American industry officials have balked at the U.S. auto content proposals, saying that they risk making the region less competitive compared to rival regions. "It's not worth it," Oscar Albin, head of Mexican autoparts industry association INA, said at the same auto conference in Leon. "We'd lose whatever we gained." 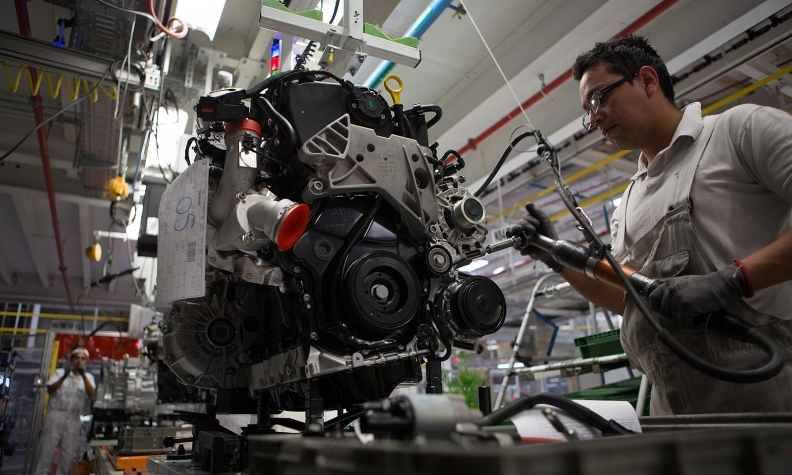 His words were echoed by Eduardo Solis, president of the Mexican Automotive Industry Association (AMIA), who argued that the NAFTA region should keep its content limits where they are. "We are going to the next round with the conviction that we should maintain firm our position on rules of origin," Solis told reporters at separate news conference in Mexico City.